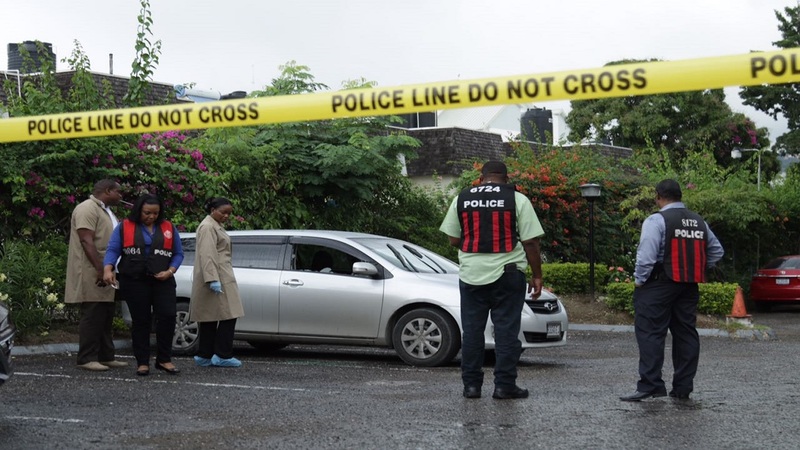 Police investigators around a motorcar in which two men were attacked and shot on the compound of financial entities Proven and Allied Insurance, on Belmont Road in New Kingston on Friday morning. 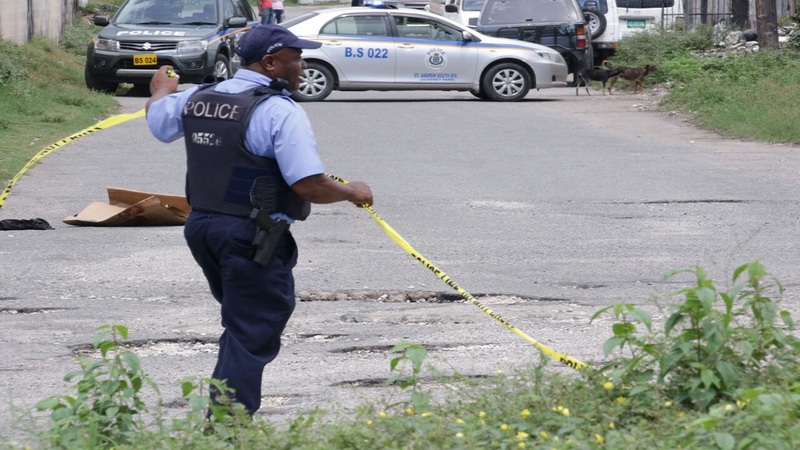 A team of police investigators is now at the premises of financial entities Proven and Allied Insurance on Belmont Road in New Kingston, where two men were attacked and shot several times by a gunman on Friday morning. Details of the attack have not been fully established so far, but reports are that about 11:00 am, two men travelling in a silver motorcar drove onto the compound of the financial entity. Police sources told Loop News that as soon as the men drove in, a gunman walked up to the vehicle and opened fire at the occupants. 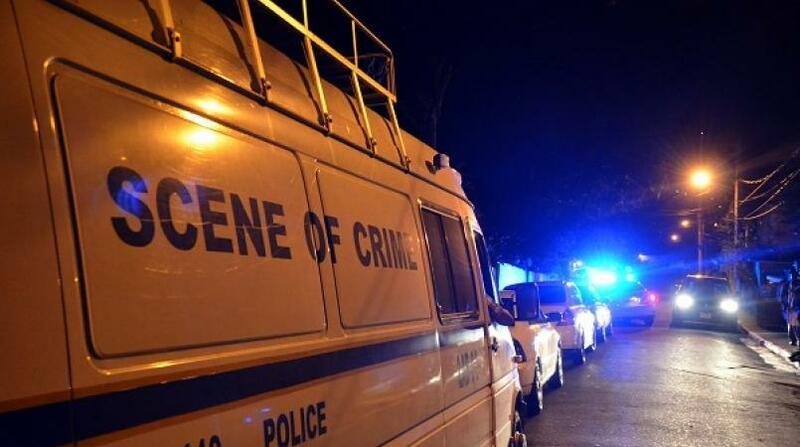 Unconfirmed reports are that one of the men who were shot and injured in the attack is an individual who has been at the centre of allegations of criminal involvement in a recent high-profile murder in St Andrew. The attacker escaped from the premises. The shooting reportedly sent several persons doing business in the area scampering for cover. The silver vehicle with shattered windows told the tale of the brazen daylight gun attack. 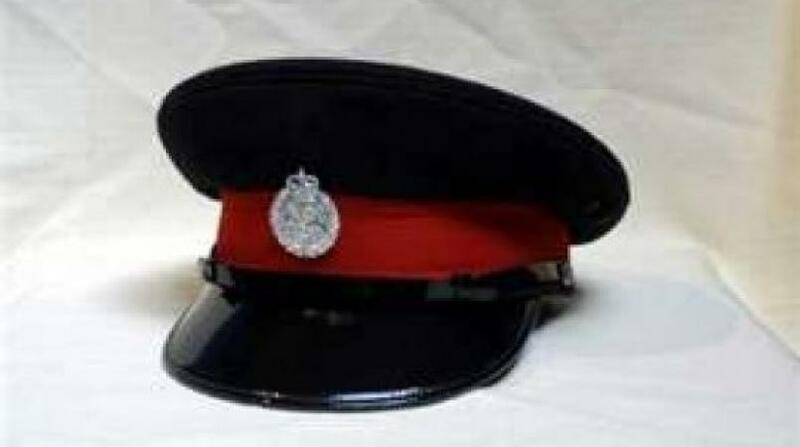 The two injured men were rushed to hospital. Their conditions have not yet been established.